Established Blockchain for Good company, Humaniq, announces release of its mobile biometrics-powered financial inclusion chat lite application. The World Economic Forum reports that over two billion people worldwide, most of them age 20 to 30 years old are financially excluded and ~200-250 million medium-to-small enterprises are financially underserved because neither pure cash systems nor the traditional banking model can effectively serve them. Humaniq is a cloud-based global chat and financial solutions P2P app platform built on the blockchain that combines distributed ownership, crypto currency, mobility, visual simplicity and biometric ID to deliver financial services to the developing world. 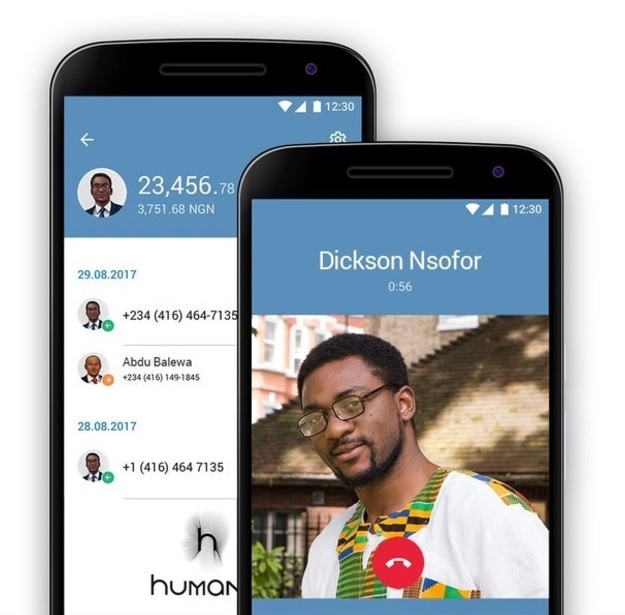 After a recent and one of the first social impact ICO in May 2017 Humaniq, the fintech tech for good organisation based in London and Luxembourg is launching a new blockchain biometric app Humaniq LITE application. This new app is part of Humaniq road map to offer financial solutions to the over two billion unbanked and was developed specifically for people who are out of the financial system and often cannot read or write. The app offers in its Lite version simple but advanced functionalities. All conversations are encrypted. The user can add other users to its address and chats will be synchronized if a user log in from another device. It offers Personal and Group chats and Voice calls. In the chat a user can record and send audio memos, send text messages, share images and videos. In the chat users can also see payment transactions coming in, and going out. In the chat users can also request funds from each other. The application uses proprietary chat functionality, biometric technology and offers an interface with a simple UI and little text. Most of the app navigation and functionalities are done through a visual icons. Another very important detail is that all non-critical settings have been removed so the app consumes less expensive data. The app Lite version is being released in late July month 2017. Humaniq is now developing a series of pilots in Africa with local and international organisations to test and work on the scalability of the product. The first pilot will be done in Ghana’s capital Accra metropolitan suburbs with over 4 million people and will be conducted by a team coordinated by Dickson Nsofor a Nigerian social impact thought leader, entrepreneur and experienced technologist that has been working with various organisations before such as the UN. Once the testing with the Humaniq lite is done there will be a launch of a more advanced featured app. The PRO version of the Humaniq app will be launched as a follow up and will be intended for the general user, with additional functionality, will arrive after the release of the LITE version. Humaniq states that the use of Blockchain technology and biometric software is done in a way to make financial services accessible via simple smartphones, enabling any person to be able to chat with their peers and reach a minimum set of financial services from anywhere in the world and avoiding probation, password theft, it offers additional encrypted blockchain security and tries to solve lack of identity issues. Major financial organisations and Banks typically are not interested in small transaction clients and require customers to provide formal forms of identification, credit checks, pay monthly account maintenance high fees. Barriers like these have left over billions of emergent markets adults and young working force without access to basic financial services. Through the support of biometric technology and blockchain, Humaniq is removing these barriers to access and putting the power to save, have a security in the hands of any app users with access to a smartphone a minimum internet connection. When a someone downloads and sign up for Humaniq Lite app, it can use a digital face scan and will have access to the app. Humaniq is moving with its road map that presented with its white paper and will be announcing partnerships with major local and intergovernmental organisations that will accelerate Humaniq’s expansion into Africa, Asia and Latin America to enable inexpensive global financial inclusions powered by blockchain and biometric technology. The Humaniq LITE app is part of a broader humanitarian capitalism described as a business model that digital currency tied to Humaniq, known as HMQ. In recent months, these types of cryptocurrencies have been soaring. As of Friday morning, HMQ was in the top 100 most valuable of these currencies, with a market capitalisation of approximately $26 million. Tim Campbell MBE, Winner of the BBC TV Show The Apprentice and Founder of Bright Ideas Trust, Joins the Board of Innovative Blockchain Fintech Start Up “Humaniq”.